Programs | Life's a cycle, ride it! We make getting your new bike easy and affordable with trade-in and consignment options. Kids bikes (they don’t even need to be originally purchased from us), department store brands, and even bikes needing repairs can be traded-in. We also offer consignment options for some bikes. Bring in your old bike. Push, pull, ride, drive or drag it in! Find out how much it’s worth. We use Bicycle Blue Book for a fair, third-party, valuation. Shop for your new bike. On top of credit for your old bike, we’ll get you the best price on your new ride. Ride away on your new bike. “You want fries with that?” We also carry car racks, padded shorts, helmets and a host of other goodies related to bikes that improve the experience. What is this “Trade-In” you speak of? What’s keeping you off your current bike? Got a bike hanging in the garage collecting cobwebs? There’s a reason you’re not using that one. Bring it in and let’s discuss what you like &/or dislike about that bike. Once we know what’s going on we can either fix your current bike or offer you a trade it in credit towards something you will really want to ride! We’ll be the first ones to tell you that; you’ll get more for your bike by selling it yourself on Craigslist. But, if you don’t want to deal with all that comes with that process – then consider trading it in as a quick and easy way to get something out of your un-used garage ornament. How can you be sure you’re getting a fair deal? 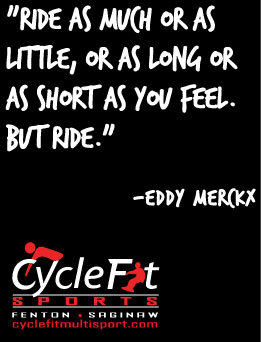 Rest easy that Cyclefit Sports will get you a fair deal on your trade-in. Our trade-in values are based on a third-party assessment (Bicycle Blue Book). Bring your bike in and we’ll look up its general value on B3, assess its condition and then make you an offer. To prevent supporting theft, we require a driver’s license and that the bike coming in have an intact serial number. Valuations are made by third-party, specifically BicycleBlueBook.com’s database. Occasionally we come across bikes that just don’t exist in the database. In these cases we’ll make an ad hoc, good faith valuation. Offers are based on B3’s value with consideration on condition & re-sell-ability. BicycleBlueBook.com valuations assume all stock-parts. Any upgrades or swapped items from its original specification will be considered. Trade-in value is applied to as a Cyclefit Sports in-store credit on account and can either be used immediately or saved for later. Cyclefit reserves that right to not make an offer. Occasionally, a bike may not fit our criteria to receive an offer, in this case we’ll give the option of donating it for use in servicing our local needy (bikes are cars for some folks), dispose of it for you or help you load it back up. Not Interested In Trade-In? Maybe Consignment Is An Option. 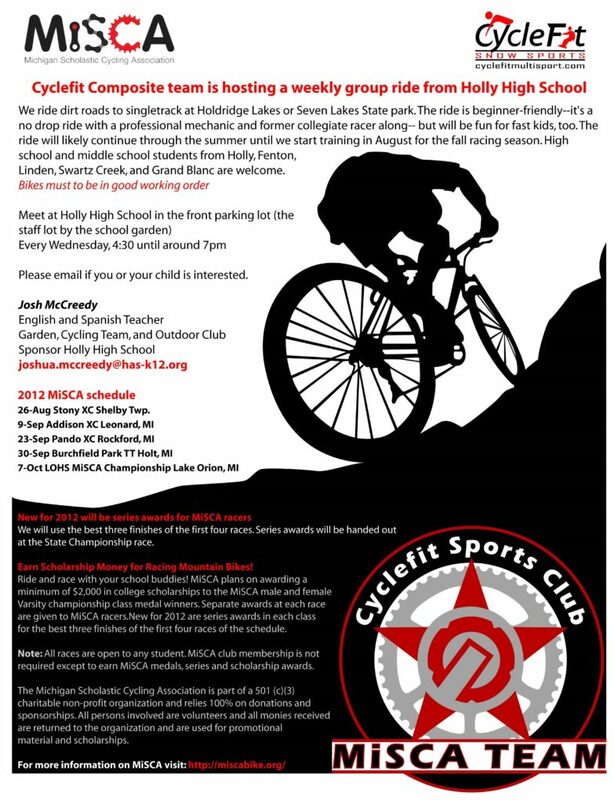 Bring in your old bike, snowboard, skis or child trailer. Push, pull, ride, drive or drag it in! Valuations are made by third-party, specifically BicycleBlueBook.com’s database. Occasionally we come across bikes that just don’t exist in the database. In these cases we’ll make an ad hoc, good faith valuation. Consignment prices are based on B3’s value with consideration on condition & re-sell-ability. Consignment checks are issued only after the sale of the consigned item. Bikes that haven’t sold within their consigned term (see consigned paperwork) will be returned to owner. Bikes not picked up within 30 days of the consigned term’s expiration will be donated. Cyclefit reserves that right to not accept an item on consignment. Occasionally, a bike may not fit our criteria as sellable, in this case we’ll give the option of donating it for use in servicing our local needy (bikes are cars for some folks), dispose of it for you or help you load it back up. All Cyclefit bicycles come with our exclusive 90 Day Trouble Free Guarantee. This program covers your new Cyclefit bicycle against cable stretch, wheel truing, 2 flat tires, minor adjustments, major adjustments, first time broken parts and any labor involved to get you back rolling again. You just bought this bike, we’d like you to ride it and break it in worry free. 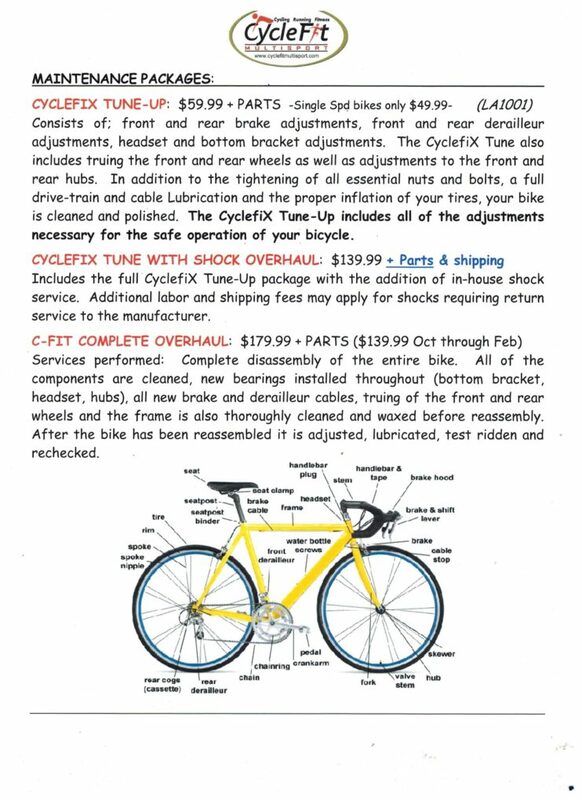 This program is designed to cover initial maintenance required for breaking in your new bicycle. Cyclefit is unable to cover normal wear or damage as a result of neglect or accident. Be sure to ask for it when you come in and buy a new bike! Did you know??? We will fix ANY bike (not just bikes we sell!) We offer FREE estimates on all repairs and can let you know what your bike needs to get running smoothly. Book an appointment, or just swing in. Quick turn-around, knowledgeable mechanics, friendly service, and competitive rates. Call or stop in today! Cyclefit is an Authorized Razor Service Center! We can warranty, repair and diagnose your Razor Scooter, Crazy Cart, or Ride-On! Call or stop in today for more information. You scored a sweet deal on a new frame or parts on the web. Now, who’s going to build it for you? Let our expert bike mechanics build your sweet new ride! 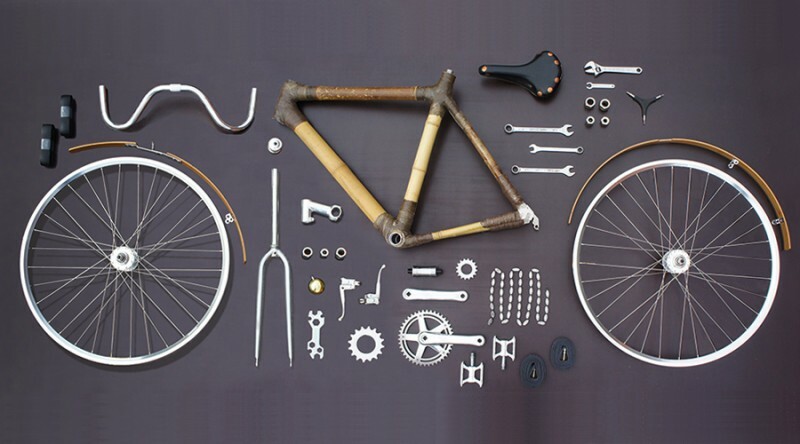 Nowadays bikes and components are complicated. We know you might find a deal on a bike, frame or parts on the Internet, but now that you’ve got all the parts, whose going to build it for you? Our mechanics are trained professionals who will help make sure your new bike is built properly to the right specifications. Whether it’s hand built wheels, installing a new drivetrain, outfitting a bike with new suspension or making a bike work perfectly, our mechanics will get the job done right. 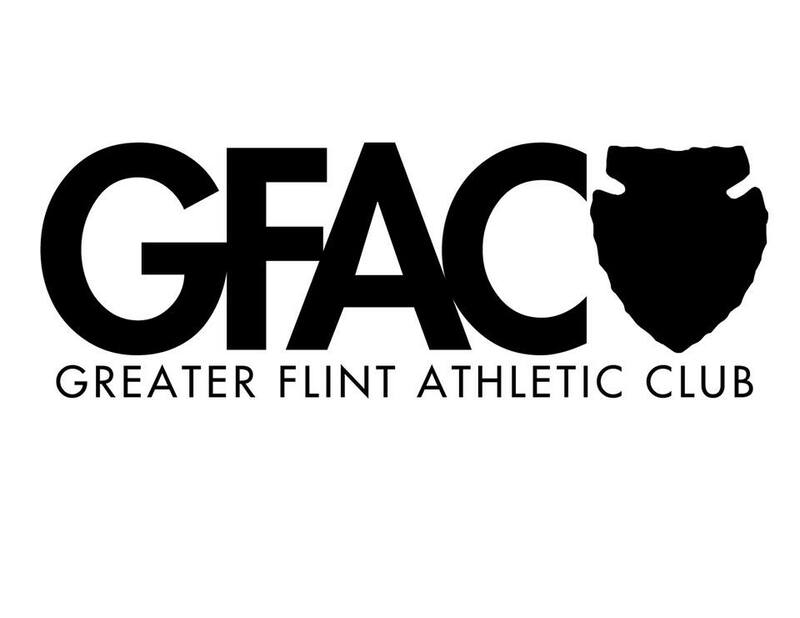 Did you know that we service and sell fitness equipment? We can even arrange pickup and delivery. Treadmills, Airdynes, spin bikes, you name it, we FIX it! Are ya’ just loving this whole biking thing? Did you grab a great deal on a new bike at Cyclefit and can’t stop talking to everyone about it? Or, finally bring in that old cruiser bike out of the garage to get fixed up like new? Many of our new customers are made when happy Cyclefit customers share their great experiences about Cyclefit with their friends, family and even acquaintances. As a “Thank You” we are initiating a Referral Rewards Program! This referral program is a way for us to say “Thank You” – Without this support from our customers and community, Cyclefit is just another bike shop. The word of mouth from our satisfied customers is integral and a big part of our success. *New customers only. It must be their first bicycle purchased from Cyclefit. *Minimum bike value of $1,000 before tax. *Full price bikes only. Sale bikes are not eligible. *Rewards to be dispatched 10 days after purchase.